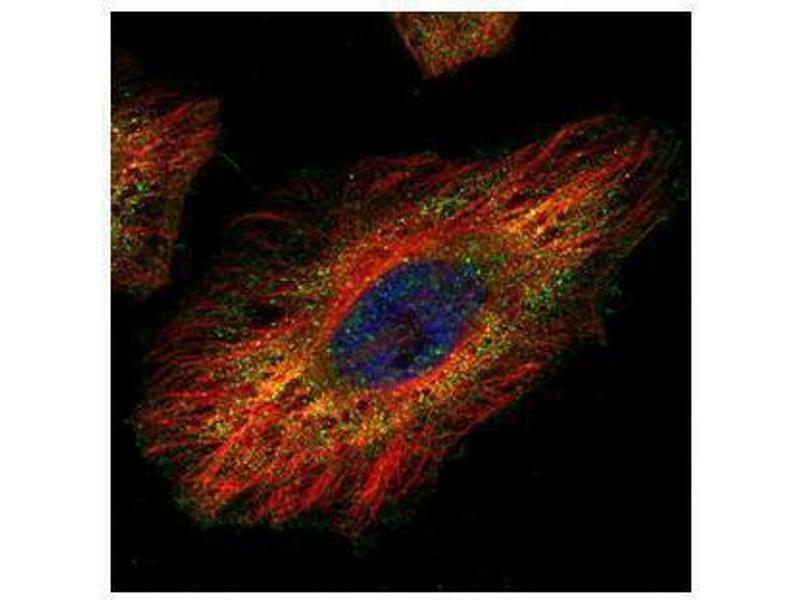 ICC/IF Image Confocal immunofluorescence analysis (Olympus FV10i) of paraformaldehyde-fixed HeLa, using DRIL1, antibody (Green) at 1:500 dilution. Alpha-tubulin filaments were labeled with (Red) at 1:2000. 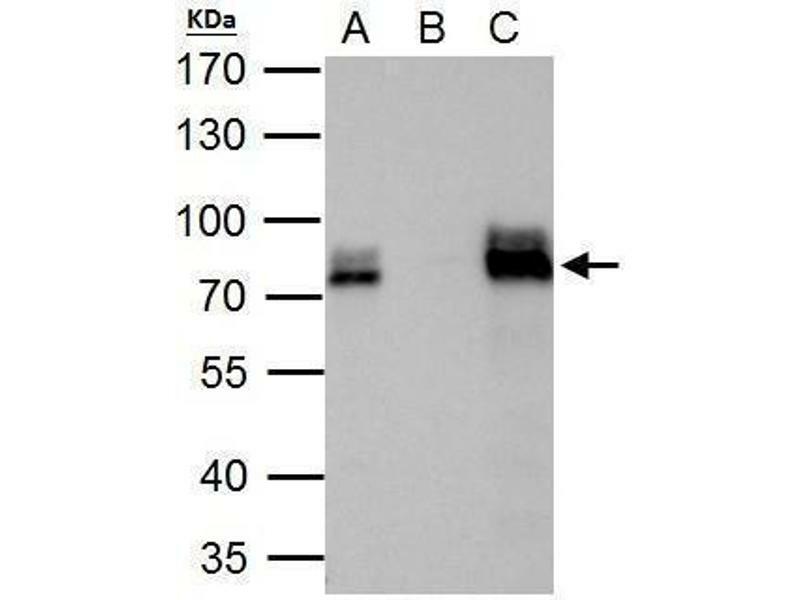 IP Image DRIL1 antibody immunoprecipitates DRIL1 protein in IP experiments. 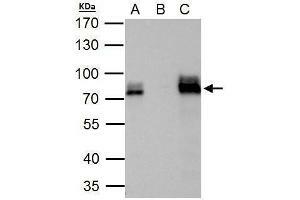 IP Sample: 293T whole cell lysate/extract A. 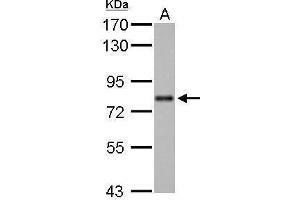 40 μg 293T whole cell lysate/extract B. 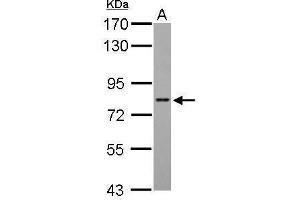 Control with 2 μg of preimmune rabbit IgG C. Immunoprecipitation of DRIL1 protein by 2 μg of DRIL1 antibody , 7.5% SDS-PAGE The immunoprecipitated DRIL1 protein was detected by DRIL1 antibody , diluted at 1:1000. 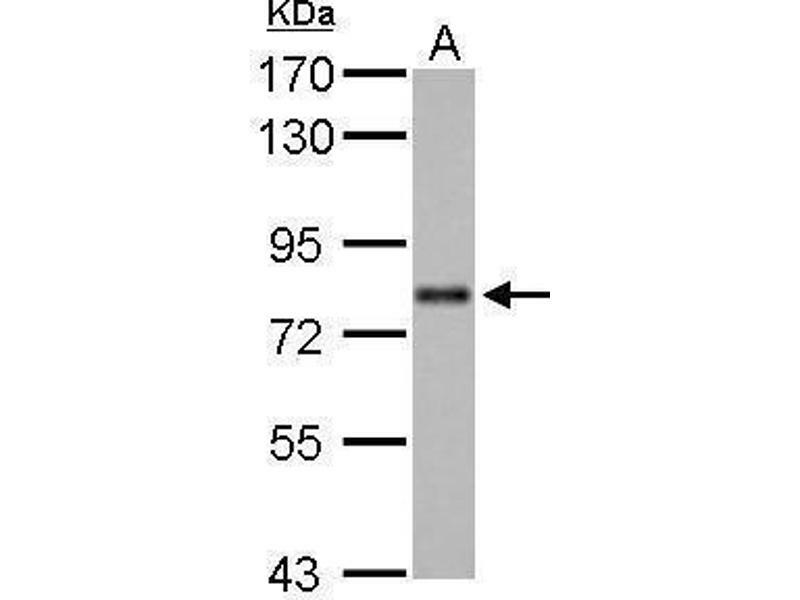 EasyBlot anti-rabbit IgG was used as a secondary reagent. 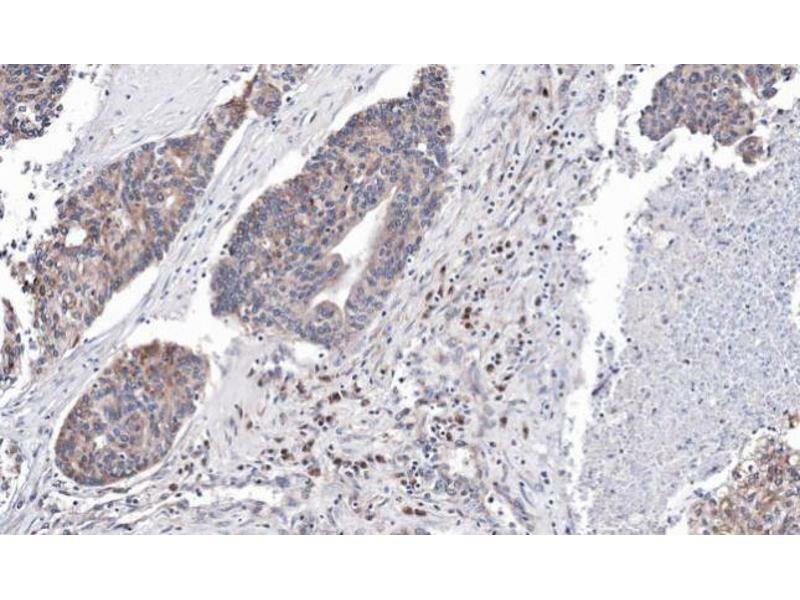 IHC-P Image Immunohistochemical analysis of paraffin-embedded human ovarian cancer, using ARID3A, antibody at 1:100 dilution. 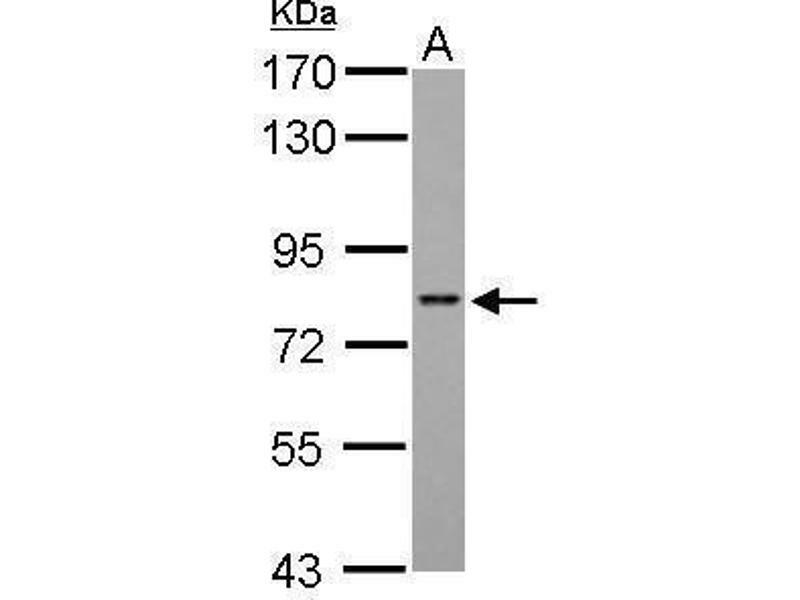 Immunogène Recombinant protein encompassing a sequence within the center region of human DRIL1. The exact sequence is proprietary. Sujet This gene encodes a member of the ARID (AT-rich interaction domain) family of DNA binding proteins. It was found by homology to the Drosophila dead ringer gene, which is important for normal embryogenesis. Other ARID family members have roles in embryonic patterning, cell lineage gene regulation, cell cycle control, transcriptional regulation, and possibly in chromatin structure modification. Stockage commentaire Keep as concentrated solution. Aliquot and store at -20°C or below. Avoid multiple freeze-thaw cycles.